hey are producing some of the best Malaysian made eliquids currently on the market, packed full of flavour using the finest, food grade ingredients. 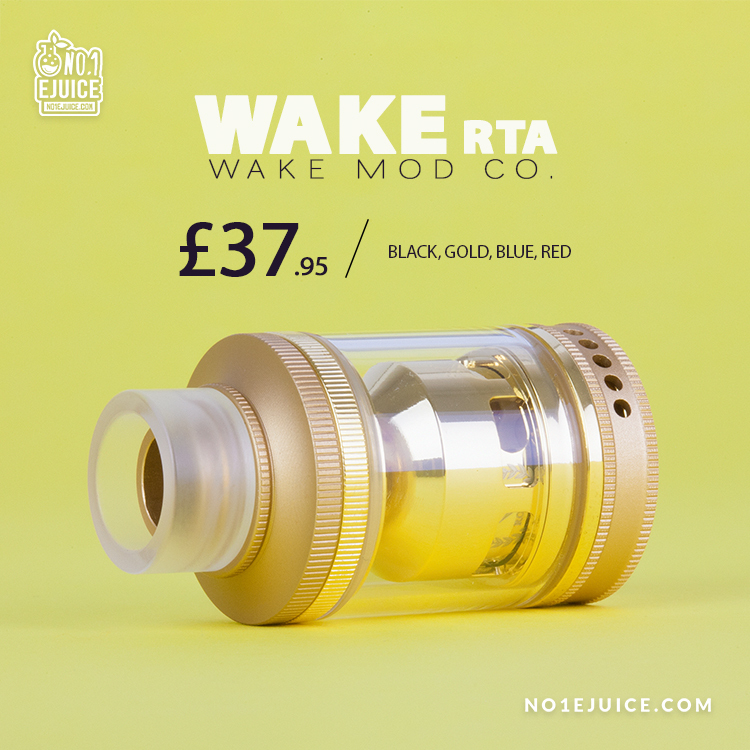 They believe that high quality should not be set at a high price, which shows in these fantastic eliquids. 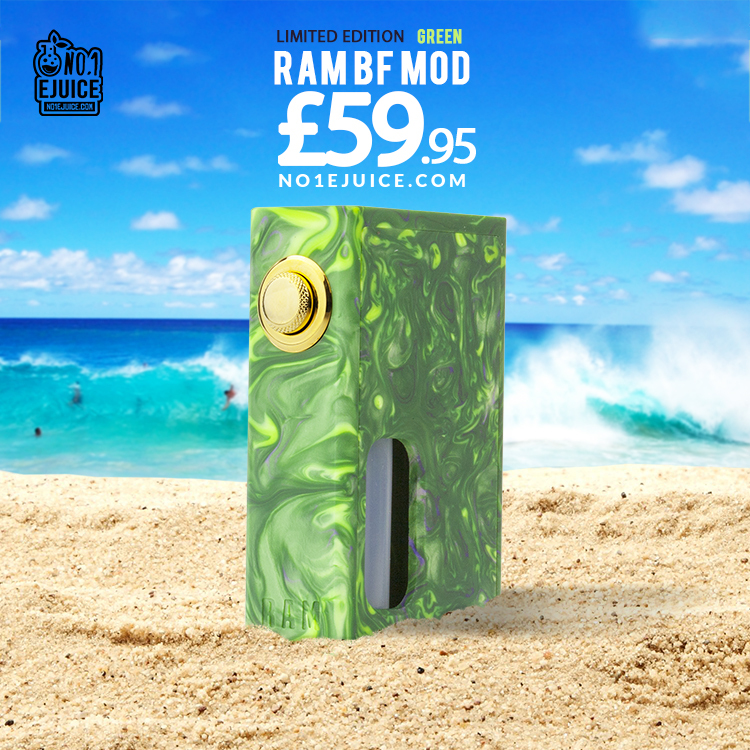 The Ram BF Box Mod by WOTOFO & Stentorian is one of a kind BF (Bottom Feeder) that features an elegant Resin style design and is one of the very first affordable Bottom feeder mods on the market along with it's fashionable 24k gold plated firing button it was born to stand out in the crowd. 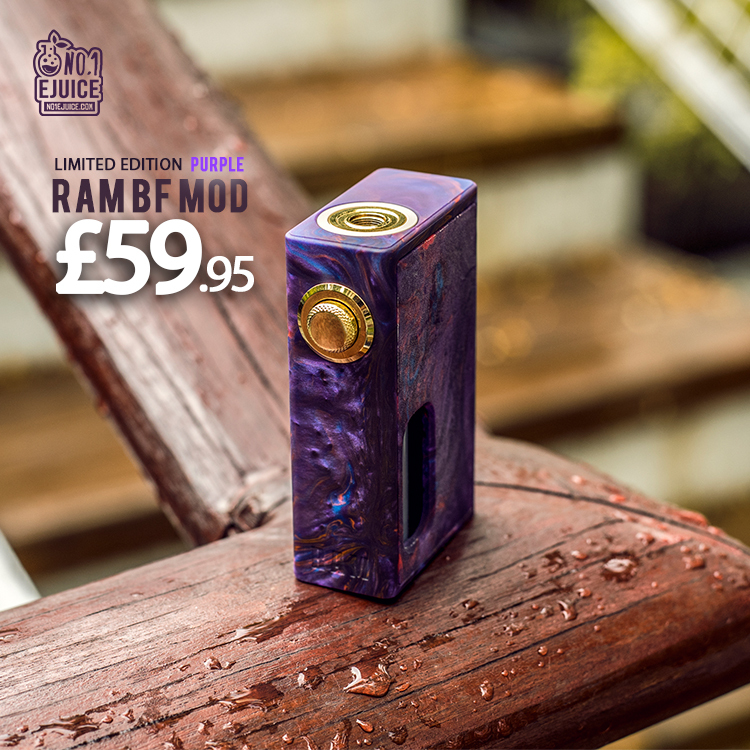 It houses a single 18650 battery (sold seperately).